Thinking of starting a new business? 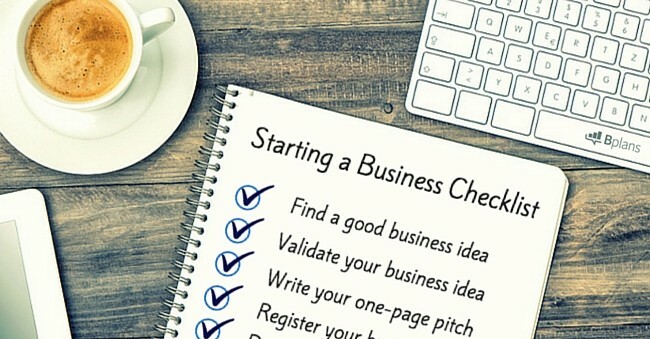 Here are some key things you need to consider before starting your own business. If you have a great idea and have decided to turn it into a business good for you! You are not alone; every week hundreds of Australians begin the start-up business journey but having a great idea and having a great business are two different things so let’s not get ahead of ourselves. Before starting your own business there’s lot’s to consider. First,you need to determine the structure of your business. Will you be a sole trader, a partnership, company or trust? All have different legal obligations and are taxed differently. For example, if you operate as a sole trader you can use your individual tax file number (TFN) whereas partnerships, companies, and trusts need a separate TFN. Depending on the nature and size of your business you may not need an Australian Business Number (ABN) however having an ABN will allow you to claim GST credits. This allows other businesses and clients to easily confirm your identity, and will also be necessary for other businesses to pay you without withholding tax. If this sounds a bit confusing give us a call and we’ll help you work out which business structure to use and advise you of all the other bits and prices you will need as well. Have you given any thought to your business name? Is it easy to understand and will people know what you do when they see your business name? This is a very important step in starting your own business as once you decide on your business name you can then get a logo and website and start marketing your business. Starting and building your business can be a lonely experience. So before you start your business make sure you have access to advice and support from people who have started and built their own successful business. Looking at similar businesses can be helpful in determining your pricing structure and marketing strategy as well as identify any gaps in the market your business might fill however run your own race! If you intend to make a profit from your business you must declare any income you earn and you may also be able to claim the expenses you incur from running your business. You must register for GST if your business turnover is expected to be $75k or more annually and if you are registered for GST you are required to lodge regular Business Activity Statements (BAS). Record keeping allows you to monitor how your business is doing, manage cash flow and provide evidence of your profit or income to lenders such as banks. Accurate and up to date financial records also make communication with your accountant and managing your business easier. In most business structures you must keep records for five years for tax purposes. Having a separate account for your business can make record keeping easier and help you see at a glance the financial health of your business while helping you to manage your cash flow. It can also be a good idea to set up another bank account that you only use for the purpose of putting money aside for GST. So when your BAS is due you’ll have the money there to pay it. Technology plays a vital role in almost every business these days. The right technology can set your small business on the track to success. If you already have all the equipment you need you might wish to look at ways of protecting your assets through business insurance. If you need additional technology or equipment in order to continue or grow your business, you might wish to look at start-up business finance options or seek advice from your accountant for the best course of action. Advisors such as accountants can give you more clarity about how to structure and start your business so you avoid some of the time consuming and costly mistakes. They can also be helpful in ensuring you meet tax and legal obligations. Sitting down and speaking with an accountant before starting a business will help ensure your business is set up properly and has the foundations in place to help you succeed. Prepare as well as you can before you start, seek advice and support from people who have started a business and guidance from a professional accountant and be prepared to make tweaks and changes as you learn. Also, there are no shortcuts however with the right support, advice and structure in place before you start your business, you’ll eliminate a lot of the mistakes many businesses make which results in them failing. I hope you’ve found this small checklist useful to identifying some of the key points you need to consider before starting your own business. Please keep in mind there are many other factors to be aware of before starting your business such as business plans, marketing and so on. If you would like in-depth advice based on your own circumstances to give your business the best chance of success call us at CHN Herold Ross on 03 9870 1300 or email us here.